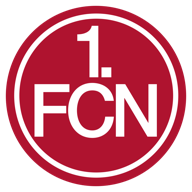 Bundesliga leaders Borussia Dortmund were held to a goalless draw by bottom club Nurnberg, inspired by new coach Boris Schommers and goalkeeper Christian Mathenia. Dortmund, who were missing Chelsea-bound Christian Pulisic with a thigh injury suffered in last week's Champions League defeat to Tottenham, ended the game three points ahead of rivals Bayern Munich at the summit. Home skipper Hanno Behrens had a header brilliantly tipped over by Roman Burki and, from the resulting corner, sent an unmarked header over the bar from just outside the six-yard box after Dan-Axel Zagadou misjudged the cross. Jadon Sancho was denied a penalty at the other end, while Mario Gotze was denied several times by Mathenia and Axel Witsel's shot was deflected wide by Behrens. Half-time arrived in controversial fashion as for the second time, home fans threw black tennis balls onto the pitch, protesting against the Monday night fixture, and with Dortmund waiting to take a corner, referee Harm Osmers blew the whistle and took the teams off. 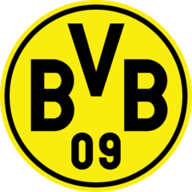 Dortmund still could find no way past Mathenia in the second half, and had what would have been a late winner disallowed when Paco Alcacer was correctly flagged offside before squaring to Jacob Bruun Larsen for a tap-in.